Speed enforcement aims to prevent drivers exceeding the speed limit by penalizing those who do. This not only affects the speed violators who actually get caught (specific deterrence), but also those who see or hear that others get caught (general deterrence). With excessive or inappropriate speed contributing to 1 in 3 road traffic fatalities worldwide, measures to address speed remains one of the most effective pathways for countries and cities to reach their traffic injury reduction goals. Without a strong, sustained public commitment to robust enforcement of speeds on the network by government, speed management programmes are unlikely to be effective. In recent years, technological breakthroughs have combined to offer police forces more options to capture violations, and the use and impacts of these technologies need to be fully understood to ensure they achieve intended results. Similarly, new procurement and management opportunities for Automated Speed Enforcement (ASE) are now available through the use of Public Private Partnerships (PPPs). 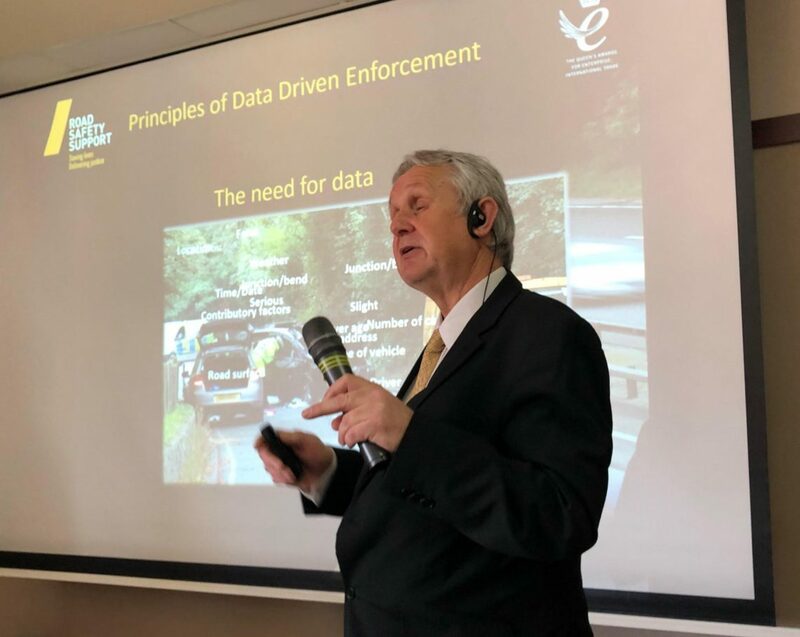 The workshop delivered by IRF with UK-based Road Safety Support provided key insights to Bulgarian decision-makers involved in selecting and deploying these systems. Participants were briefed on the value of speed enforcement as part of holistic safety strategies, the benefits and pre-requisites for Automated Speed Enforcement, the state of the art in existing technologies, and funding models that exist to deliver speed enforcement systems.